Send your brand through the mail with Pantone® printed Postcards. A smooth uncoated finish makes this paper perfect for booklet covers, as well as brochures or postcards that need to be written on. It is best for light coverage artwork, as bright colours and images tend to look muted. This stock is also Forest Stewardship Council ® (FSC) certified denoting the paper is produced via responsible forestry, so is excellent for those who are environmentally conscious. This elegant cream-coloured stock is a unique option for note cards, greeting cards, and other business stationery. Classic Crest is known for its smooth surface and sophisticated finish, and the same finish and colour is available in envelopes and text-weight paper for letterhead or note paper. With a bright white, gracefully smooth finish, Classic Crest is know to be an elegant choice for all manner of business stationery. 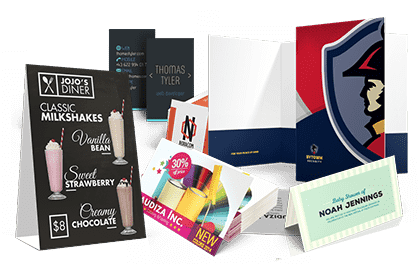 Envelopes and text weight paper for letterhead or note paper are available in the same finish and colour to create a complete, matching package. Ideal for greeting cards, hang tags, and other materials, this paper has an understated woven finish and a bright white colour. A subtle fabric-like finish and a cream-white colour give this stock a tasteful feel. 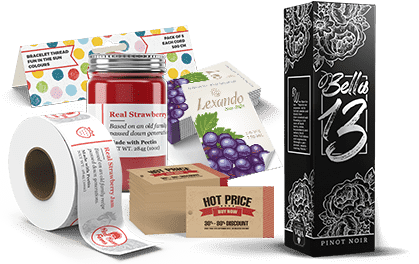 It is ideal for business cards and greeting cards, as well as hang tags and other packaging. This option will produce a piece that is printed with Black ink on the front and has no printing on the back. If any other colours are present in the uploaded file, they will be converted to black or greyscale. This option will produce a piece that is printed with a PANTONE® ink on the front and has no printing on the back. The file must be supplied with the PANTONE® ink included; if there are any other colours present it will increase file processing time. This option will produce a piece that is printed with Black ink on both sides. If any other colours are present in the uploaded file, they will be converted to black or greyscale. This option will produce a piece that is printed with a PANTONE® ink on the front and black printing on the back. The file must be supplied with the PANTONE® ink included; if there are any other colours present besides black and the PANTONE®, it will increase file processing time. This option will produce a piece that is printed with the same PANTONE® ink on both sides. If different colours are desired on each said, additional charges can apply. The file must be supplied with the PANTONE® ink included; if there are any other colours present it will increase file processing time. This option will produce a piece that is printed with one PANTONE® ink and black ink on the front, with no printing on the back. The file must be supplied with the PANTONE® ink included; if there are any other colours present besides black and the PANTONE® ink, it will increase file processing time. This option will produce a piece that is printed with two PANTONE® inks on the front and no printing on the back. The file must be supplied with the PANTONE® inks included; if there are any other colours present it will increase file processing time. This option will produce a piece that is printed with one PANTONE® ink and black on the front, with black ink on the back. The file must be supplied with the PANTONE® ink included; if there are any other colours present besides black and the PANTONE® inks, it will increase file processing time. This option will produce a piece that is printed with black and one PANTONE® ink on the front and one PANTONE® ink on the back. The file must be supplied with the PANTONE® inks included; if there are any other colours besides the PANTONE® colour and black present it will increase file processing time. This option will produce a piece that is printed with two PANTONE® inks on the front and one PANTONE® ink on the back. The file must be supplied with the PANTONE® ink included; if there are any other colours present besides black and the PANTONE® inks, it will increase file processing time. This option will produce a piece that is printed with black plus one PANTONE® ink on the front, and black plus one PANTONE® ink on the back. The file must be supplied with the PANTONE® inks included; if there are any other colours present besides the PANTONE® inks and black, it will increase file processing time. This option will produce a piece that is printed with black plus one PANTONE® ink on the front, and two PANTONE® inks on the back. The file must be supplied with the PANTONE® inks included; if there are any other colours present besides the PANTONE® inks and black, it will increase file processing time. This option will produce a piece that is printed with two PANTONE® inks on the front, and two PANTONE® inks on the back. The file must be supplied with the PANTONE® inks included; if there are any other colours present besides the PANTONE® inks, it will increase file processing time. There is no preferred option for finishing. 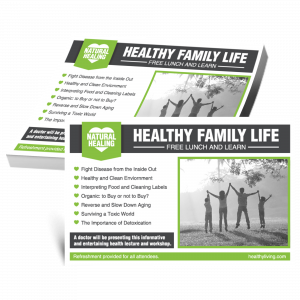 Postcards are a very flexible marketing tool, and can be distributed in many different ways. 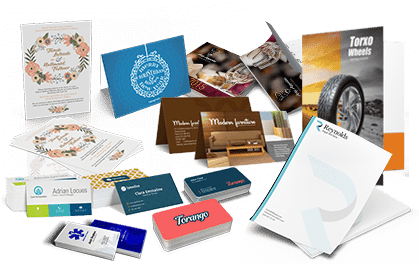 However, a crucial aspect of any successful marketing campaign is brand recognition, and Pantone® printing is the perfect way to accomplish this. Your brand colour can be added as a accent as well as to maintain the style of your logo. Company information, promotions, or product details can be printed in a second colour or, more popularly, in black ink. For postcards with Full Colour printing, please check out our Full Colour Postcards.